Skipping a fitness assessment for new clients – In order to familiarize yourself with the needs, strengths and weaknesses of a new client, it’s important to do a proper initial assessment. This can be a time to identify any health concerns as well as goals. Recommending generic routines – Each client is unique and has different needs and ways of approaching exercise. While you may have preferences for certain workout routines, exercise is not one size fits all. When you start working with a new client, it’s important to design a custom workout program that suits not only what they are trying to achieve, but embraces their exercise habits, such as a preference for variety, or a love of cardio, in order to encourage them to keep at their workouts. Not continuing to learn – No matter what career you are in, constantly continuing to educate yourself in your field is key to becoming even better at what you do. Whether it’s taking a class on new methods or new studies, specializing in one area, taking a new certification or taking a class in a field that compliments training, learning is one way to make sure that you stay competitive in your field. Lacking communication with your clients – Part of what makes a great trainer is the ability to effectively communicate with your client. This is how you will give them your expertise and knowledge, and ensure that they are performing exercises safely and correctly. Take the time to explain why proper form is important and what each exercise does for the client. Not specializing yourself – By specializing in one area of training or one type of client, not only will you set yourself apart from the crowd, but this allows you to focus and become the best at one facet of training, whether that is training sports professionals, working with the elderly or helping individuals new to exercising ease safely into fitness. Personal training is a highly competitive field with many very knowledgeable and skilled professionals competing for clients. The good news is that the aging baby boomers have a greater interest in personal training than past generations and there has been a growing need for personal trainers. To stand out from the crowd, you’ll need to learn motivational strategies, specialize in a specific type of client, open up multiple revenue streams and remain committed to your education. Though you will need to understand the most-effective exercise techniques, the role of a personal trainer is more than simply a dispenser of knowledge. Your primary role is to motivate your clients to continue exercising. This requires that you build a relationship with your clients. Since you will be working with a broad range of people, you are better off if you are the type of person who enjoys social interaction. Besides fitness, you may find yourself often find yourself providing emotional support as well when your clients become frustrated. Determine the type of client you would like to work with. Then, you can specialize in the exercise techniques that are the most likely to help that type of client. You may choose to specialize in clients that are struggling with obesity or you could help athletes. Regardless, the methods you use will need to be tailored to your types of clients. It is risky to rely on only personal clients as your source of income. If one of your clients decides to drop you, this can lead to a loss of a few hundred dollars a week. The best way to avoid this risk is to generate income from several sources. Consider starting a weekly class and consider holding boot camp events. Just like with doctors and lawyers, you will need to remain committed to your education. Regularly read reputable sources on physical training so that you are knowledgeable on which techniques produce which results. Not only will you provide a better service to your client, but if your client discovers that you are uninformed about a particular topic, he or she is more likely to find a different trainer. Getting your personal training program off the ground may seem difficult at first, but it can be a profitable career if you remain dedicated. 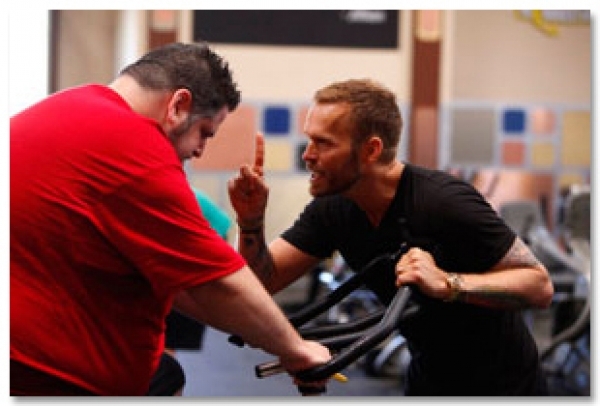 Is “The Biggest Loser” Harming the Personal Training Industry? In light of the recent start of a new season of “The Biggest Loser” and an article on TMZ.com, I found it hard not to take a position and stand up for the profession that my colleagues and I work relentlessly to bring credibility and ethical practices to. “Cements their qualifications?” What really qualifies a “fitness professional?” Is it just about getting people results at any cost? What about considering current health, structural and physical abilities, biomechanics, exercise selection and progression of intensity and frequency? Is it fair that the personal training profession on a whole is represented in a way that is anything less than ethical and professional? Throughout the country you would be hard pressed to enter a credible fitness facility and find a fitness professional yelling at a client and pushing one to a point of vomiting. It lends itself to challenge the ethics and credibility of a trainer not a stringent certification exam. A certification exam assesses knowledge, not if the certified professional will use that knowledge. “The Biggest Loser” has created an awareness of the obesity epidemic and the associated challenges people face both physiologically and psychologically. The message the show sends is that weight loss is possible through behavior modifications and that there are positive implications for health and fitness. What it hasn’t done, is made a fair representation of the personal training profession. However, the methods and strategies’ used clearly dangerous and implausible. For many of my colleagues on the education and certification side of the fitness industry, along with countless certified professionals in the fitness industry, there is a strong concern as to how the profession of personal training is misrepresented in the world of “reality” shows. It is an understatement to say that it is inappropriate, unethical, and a blatant misrepresentation of the knowledge, skills and ethics a qualified, credible fitness professional must have. As TMZ reported “Applegate hasn’t passed the stringent certification test…” This is misleading in a way that it makes it seem that those who have passed the “stringent test” are using the safest and common practices of the profession. As mentioned earlier vomiting, passing out, and being yelled at are not what would be considered safe and common practice. Acquiring a certification is achieved by the successful completion of an assessment with a minimum acceptable score. Certification defines competency and is intended to help industry professionals demonstrate their commitment to professionalism and ethical practice. A fitness professional is one who utilizes safe and common practices, relies on scientific principles, theories, and concepts that are associated with the human body including and not limited to: Anatomy and Physiology, Physics, Mechanics, Kinesiology, Health Screening and Assessment, Nutrition, and has a basic understanding of orthopedics, pharmacology, cardiology, neurology and psychology. A credible fitness professional will consider the short and long-term affects an exercise may have on a client. Through exercise many goals may be achieved including performance enhancement, body building, weight loss, general conditioning, emotional well-being, vanity, rehabilitation, and structural integrity training. Certification is intended to help industry professionals demonstrate their commitment to professionalism and ethic. Certification exams are designed to assess knowledge. The fitness professionals’ responsibility is to utilize that knowledge. “The personal-training industry is quickly becoming part of the healthcare mainstream”  Many health and fitness organizations, as well as, consumers of personal training services are relying on accredited certification organizations to properly prepare fitness professionals to provide safe, effective, and efficient client centered exercise. Is your certification accredited? – How did you prepare for your certification exam? – What are the safe and common practices you use as a trainer? 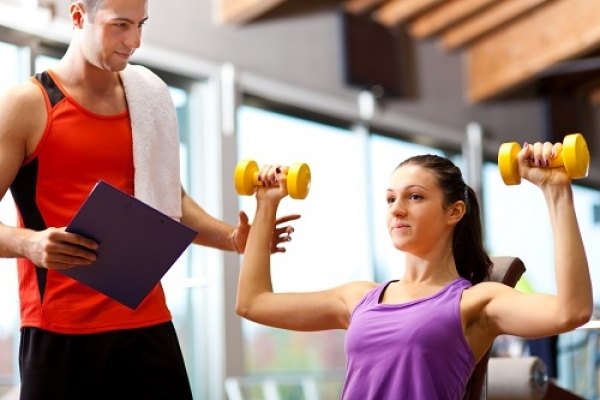 According to a survey conducted by the National Board of Fitness Examiners, the best way to protect the integrity of personal training is through an official governing body. The survey asked 2720 personal trainers their thoughts on testing, licensures, and credentials. Results of the survey showed a strong desire from fitness professionals to keep standards uniform throughout the country and maintain a level of excellence in the field. The majority of personal trainers surveyed believe they should be able to sit for a national exam, as opposed to passing exams in 50 different states. This would create consistent qualifications from state to state and require personal trainers to have the same skill set and knowledge, regardless of location. It would also make it easy for personal trainers to obtain a new license, should they move to a different state. The survey shows a desire from those in the industry to maintain integrity through state licensure and national qualifications. There are several ways in which national credentialing would have a positive effect on the personal fitness training industry. One of the main ways licensing helps the industry is to eliminate unqualified practitioners. Many survey respondents indicated they have come into contact with people they believed were not qualified to be working with clients. They believe licensing would weed these incompetent trainers out of the field, thus improving the overall reputation of personal training. With this improved reputation comes a better relationship with other heath professionals. 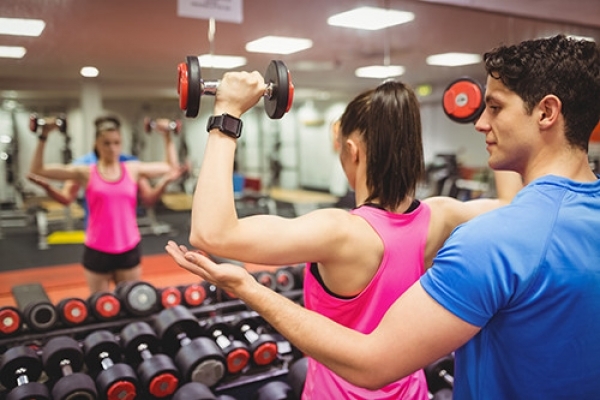 Approximately 75% of respondents agreed or strongly agreed that licensing of personal trainers is likely to increase the perception of professionalism in the public’s eye. Practically the same amount felt it would increase referrals from healthcare professionals. Patients are also more likely to follow through on visits to personal trainers when referred by doctors and other health professionals. This not only further establishes a solid reputation in health care, it increases the potential client pool and ultimately increases earnings for personal trainers. It should be noted, the majority of respondents do not think credentialing is likely to increase rates among personal trainers, but salaries will rise based on an increase in clients. This improved standing in the health care industry is also likely to increase the likelihood of insurance reimbursement for personal fitness training sessions. More than 60% of respondents believe licensure would increase insurance coverage for clients. Overall, most personal fitness trainers believe improved credentialing and licensure is likely to move the industry forward and establish greater credibility. Nearly 63% of survey respondents would like to be denoted as “licensed personal trainers,” if given the opportunity. Establishing minimum requirements to achieve the title of licensed professional, and knowing you and your peers have met these requirements boosts confidence and morale in an industry. Most survey respondents said they preferred a national exam over a state option and the majority of respondents favoring the state option indicated they would prefer national oversight of the exam material. Summer is here and you are probably thinking that it’s time to get in shape. Working with a fitness professional / certified personal trainer is a great way to get started, maybe! The human body is very efficient at adapting to stimulus (in the case of exercise we need to think in terms of force and time) in many ways. When speaking about exercise, our body will either “wear in” and adapt with positive results, or “wear out” by evidence of disinterest, excessive fatigue, joint and or muscular pain. Exercise challenges a person’s central nervous, cardiovascular, pulmonary and musculoskeletal system and can present more risk then benefit if not initiated and progressed appropriately. Therefore exercise should be based your current level of, health, ability, and directed toward meeting your needs and goals. There are many types of personal training certifications currently available, and they vary greatly—from home study, online courses to University-accredited courses and nationally accredited certifications. In some cases, a certified personal trainer may have only studied textbook content, took an online course, or sat for a multiple choice exam. So be sure to ask your personal trainer if his/her education included practical, hands-on training inclusive of health assessments and exercise biomechanics. Ask if the personal trainer is certified by a nationally recognized and accredited educational program. One way to make sure you receive the benefits of exercise while lowering risk is to work with a personal trainer who is knowledgeable about the musculoskeletal system and its physiological, neurological and mechanical properties. Certified personal trainers should also have the skills necessary to measure blood pressure and resting heart rate and understand the fundamental principles of exercise biomechanics, medical terminology, medical conditions and concerns, exercise program design, nutrition, and psychology. Be sure your personal trainer logs exercise sessions and is able to modify and direct your program toward achieving your goals accordingly. Your initial impression of the trainer is important: Is he/she neat, courteous, a good listener, and does he/she answer all of your questions and concerns? Your personal trainer should be insured and have current CPR and Automated External Defibrillator certification. It’s your body; the choices you make today are important for YOUR health.